How do I know if I have Work-Study? 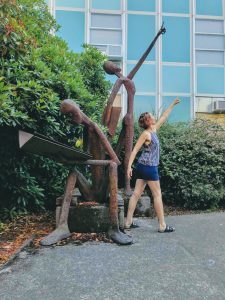 Federal Work-Study provides funding for part-time jobs for undergraduate students with financial need, allowing them to earn money to help pay education expenses. To be eligible for Federal Work-Study, you need to have completed the FAFSA application by the priority deadline. Students must be enrolled at least part-time to receive Federal Work-Study funds. The OSU Financial Aid Office determines the eligibility of all students who apply for Federal Work-Study funding. 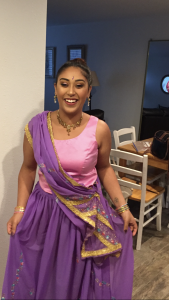 How do I know if I have been offered Work-Study? 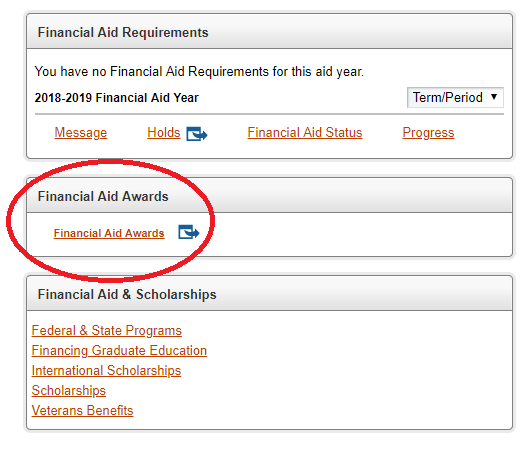 To check if you were offered Federal Work-Study funds as part of your financial aid award, log into myOSU, go to the “Paying for College” tab and follow the link on the right side to view your Financial Aid Award. You should see Federal College Work Study listed with an amount if it has been offered to you. You may then choose to accept this amount. You can watch this video for more details about how to accept your Federal Work-Study funding. Once you have accepted your Federal Work-Study, you need to find and apply for a job in order to receive these funds. There are both on and off campus employers that may hire you as a Work-Study student. All student jobs at OSU can potentially be Work-Study jobs (certain restrictions may apply). To search for positions with the OSU Office of Human Resources go to https://jobs.oregonstate.edu/. Select the STUDENT bar, then search the postings which are available under the Position Type: Student. Some jobs may be listed as “Work-Study only,” and others may not. You will need to let your prospective employer know that you have a Work-Study award so that you can be hired as a Work-Study student. If you would like to consider off-campus employers, these jobs are posted through the Career Development Center using Handshake. Search for off-campus work-study eligible jobs here. 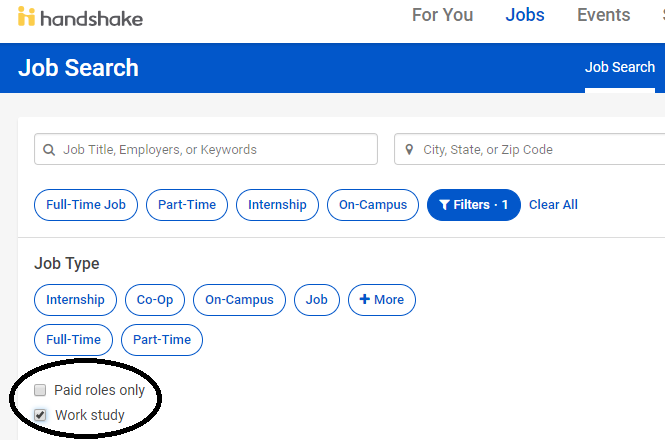 Click the “Jobs” tab at the top and use the filter to check-off work-study jobs. You may work up to but not more than 20 hours a week combined for all student employment, including Federal Work-Study jobs. Did you know students with a Work-Study job may be eligible to receive SNAP benefits (food stamps) to alleviate some of the financial burdens related to purchasing healthy, nutritious, foods? 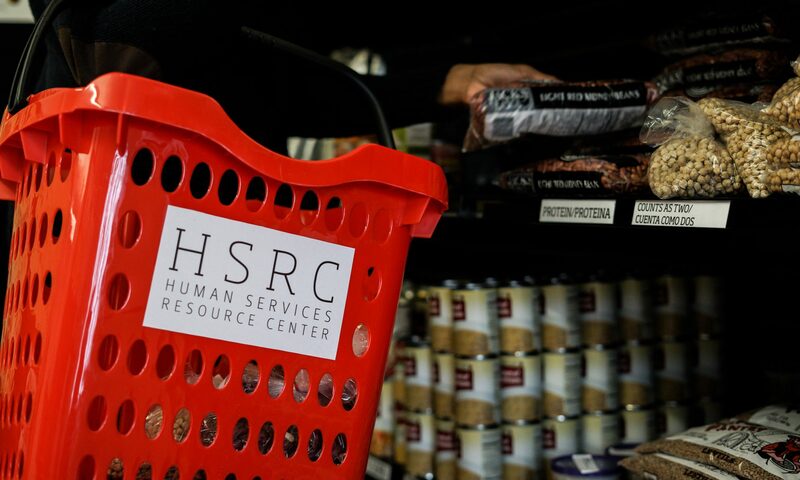 You can apply for SNAP online here, or contact the HSRC for any questions about how to apply.